IT WILL now be over a year before Daydream Island opens its doors to guests again. Following the impact of Category four Cyclone Debbie, Daydream Island management have taken the decision to move forward their $50 million refurbishment to later this year. The spending is earmarked for major infrastructure upgrades including renovations to existing attractions and the installation of new features. Major works will include redevelopment of the arrivals pavilion, reception, main atrium area, Waterfalls Restaurant, Lagoons Bar, all room types and Mermaids Restaurant. Although an earlier statement from the island gave a re-opening date of April 30, Daydream Island resort general manager Dawson Tang said in light of damage caused by the cyclone, it wasn't "feasible" to invest money to re-open and then close a few months later for the refurbishment. 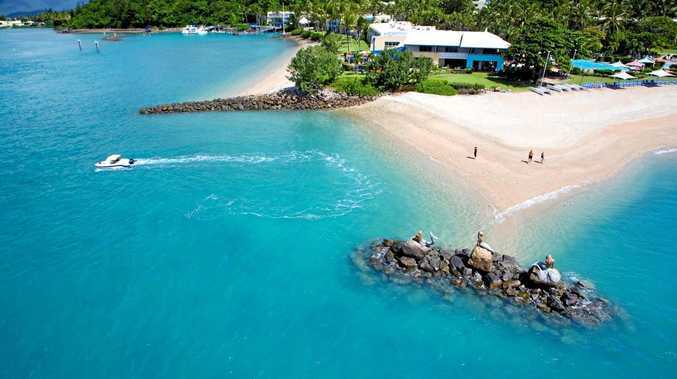 "This decision for an extended closure has not been an easy one but will enable us to concentrate fully on restoring Daydream Island back to the top of the Queensland tourism industry," he said. Daydream Island is expected to reach four and-a-half star status when it re-opens in mid-2018. Refunds are being arranged for guests with forward bookings.